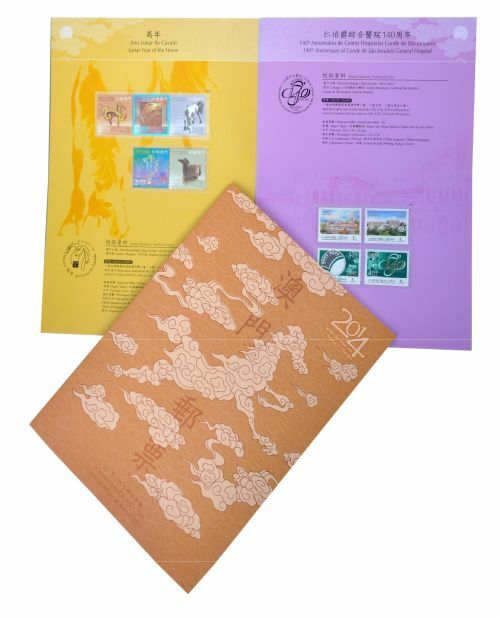 Macao Post will issue two annual albums on 8th January 2015, which are “Annual Album of Stamps 2014” and “Annual Album of Souvenir Sheets 2014”. 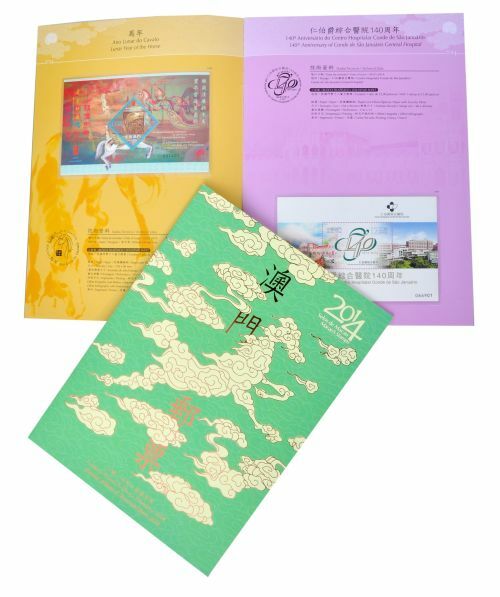 The image of auspicious horses is highlighted in gold foil, their covers are printed in bronze and green respectively, on which the technical data are printed on the pages. The Annual Album of Stamps comprises the full collection of 13 sets of stamps issued in 2014, each album priced at MOP215.00; the Annual Album of Souvenir Sheets comprises the full collection of 11 souvenir sheets issued in 2014, each album priced at MOP185.00. These two Annual Albums will be available for sale at the Philatelic Shop of Macao Post Headquarters, “Rua do Campo” Post Office, Maritime Ferry Terminal Post Office, Airport Post Office, and the Communications Museum. It is certainly an excellent product, either as a collectable or as an elegant gift.